Samantha can’t wait to wear this fine dress when Uncle Gard comes to visit during the holidays. It features a wide scalloped collar, satin trim, and delicate lace at the yoke and sleeves. 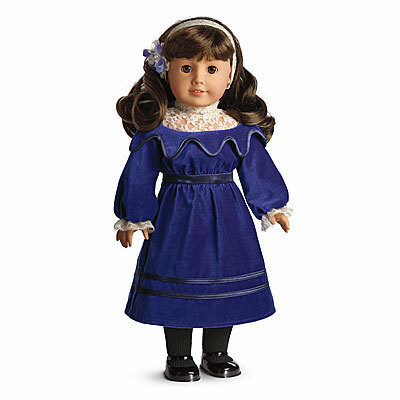 Samantha wears a fancy ribbon headband in her dark curls for a festive look.